These wooden frames are perfect for posters, prints, photos, fabric, even canvas.Each set contains 4 wooden strips, made of wood, embedded with strong magnets that sandwich your artwork firmly in place. Each magnet is embedded below the surface to leave artwork in perfect condition. 100% Natural wood and high qualityProcess: handmadeEach piece Size: 400mm X 18mm X 5mmColor: Natural color, Teak color, Gold, Silver, Black, White. You can choose according to your style. Installation: We currently have two options available to install. Mount with the pre-drilled center hole (no screws included) or simply find your center point, and hammer a nail into your wall and hang with the string provided. The bottom portion will weigh down your artwork if the poster is curled from being mailed in a tube.Note: Artwork prints are not included. Top & bottom rails, extra hanging tabs. Impossible to slip out if closed properly - see video for simple instructions. For hanging tapestry, maps, charts, posters or vinyl signs. Holds thin paper to thick card-stock. These wooden frames are perfect for posters, prints, photos, fabric, even canvas.Each set contains 4 wooden strips, made of wood, embedded with strong magnets that sandwich your artwork firmly in place. Each magnet is embedded below the surface to leave artwork in perfect condition. 100% Natural wood and high qualityProcess: handmadeEach piece Size: 500mm X 18mm X 5mmColor: Natural color, Teak color, Gold, Silver, Black, White. You can choose according to your style. Installation: We currently have two options available to install. Mount with the pre-drilled center hole (no screws included) or simply find your center point, and hammer a nail into your wall and hang with the string provided. The bottom portion will weigh down your artwork if the poster is curled from being mailed in a tube.Note: Artwork prints are not included. 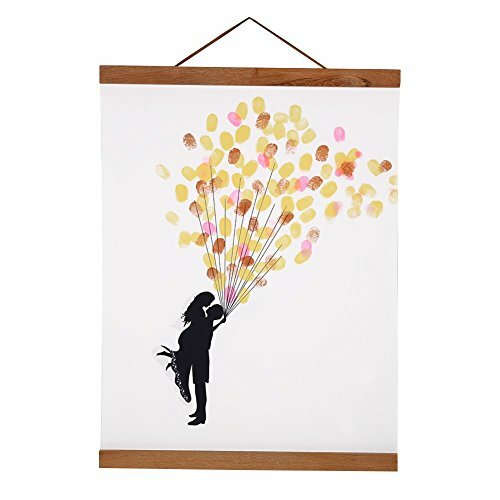 These wooden frames are perfect for posters, prints, photos, fabric, even canvas.Each set contains 4 wooden strips, made of wood, embedded with strong magnets that sandwich your artwork firmly in place. Each magnet is embedded below the surface to leave artwork in perfect condition. 100% Natural wood and high qualityProcess: handmadeEach piece Size: 300mm X 18mm X 5mmColor: Natural color, Teak color, Gold, Silver, Black, White. You can choose according to your style. Installation: We currently have two options available to install. Mount with the pre-drilled center hole (no screws included) or simply find your center point, and hammer a nail into your wall and hang with the string provided. The bottom portion will weigh down your artwork if the poster is curled from being mailed in a tube.Note: Artwork prints are not included. Protect your posters! 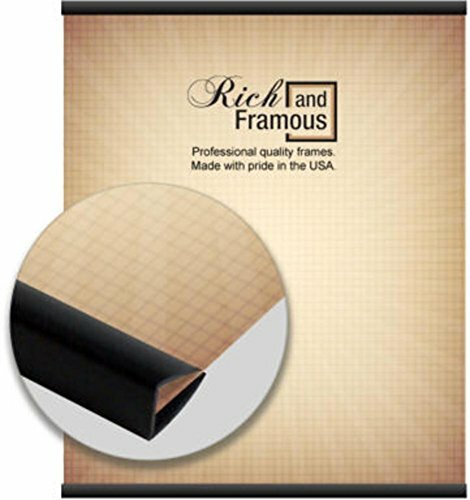 Rich and Framous Poster Hangers are a great looking alternative to expensive frames and will not damage your posters like tape or thumb tacks. 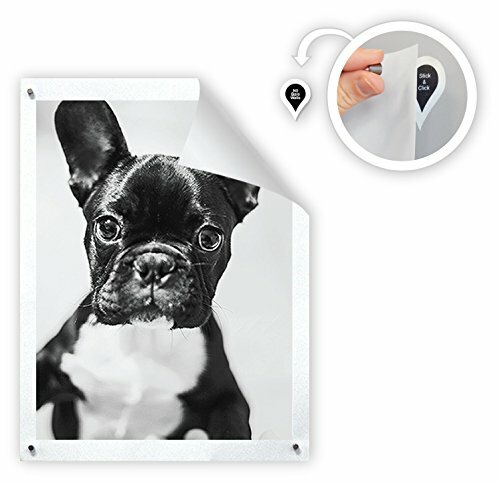 They are easy to use (and reuse) and include a pre-drilled 8mm hole in the back for convenient hanging. 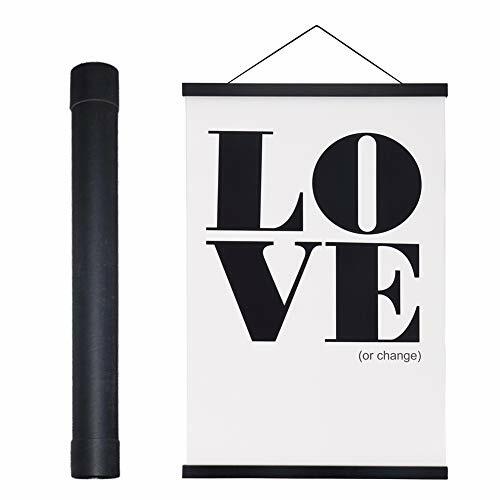 These premium quality poster hangers are made with pride in the USA and constructed of strong, rigid, lightweight resin in an attractive matte black finish to match any decor. Includes 2 pieces for top and bottom of artwork. Live in a dorm? Want to protect your walls? 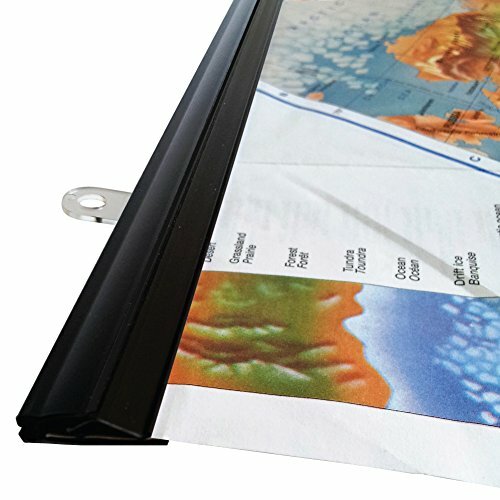 Use a custom fit Poster Hanger Removable Hook (sold separately) which is specially designed with an adhesive that removes completely and will not damage walls. 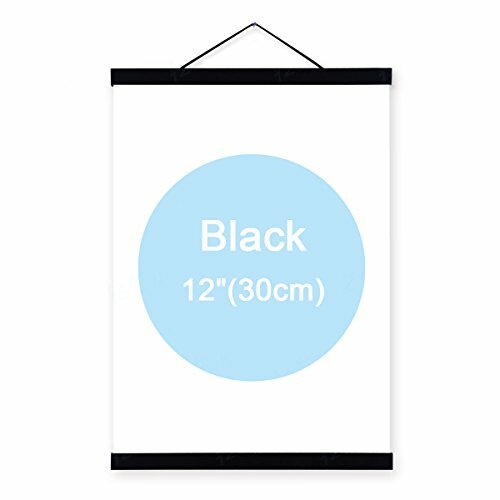 Looking for more Black Poster Hanger similar ideas? Try to explore these searches: Door Handlesets, Classy Bezel, and Shoei cx1 Shield. Look at latest related video about Black Poster Hanger. Shopwizion.com is the smartest way for online shopping: compare prices of leading online shops for best deals around the web. 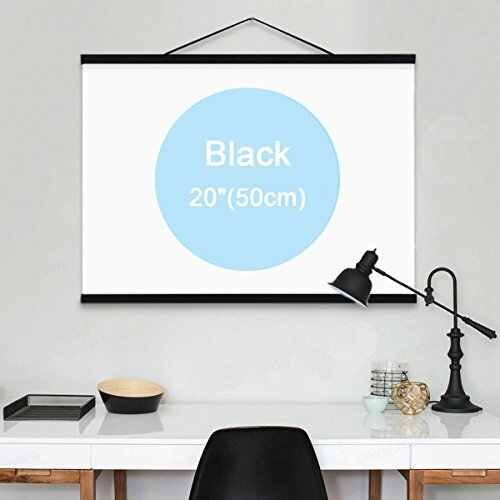 Don't miss TOP Black Poster Hanger deals, updated daily.